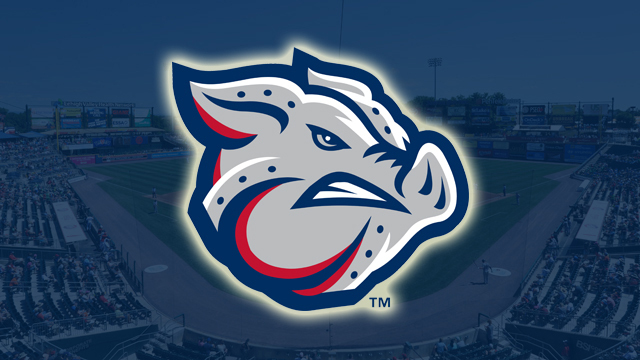 Friday's 7:05 p.m. contest between the Lehigh Valley IronPigs and Syracuse Chiefs has been postponed due to inclement weather. The game will be made up as part of a doubleheader on Saturday, August 4. Saturday's first seven-inning contest will begin at 5:35 p.m. and the second seven-inning game will begin 30 minutes after its conclusion. Superhero Night fireworks presented by PSECU will follow the evening's second contest. While bids for our Superhero jerseys will be accepted throughout the day, they will be worn during the second contest. All gates will open at 4:30 p.m. and guests will only need one ticket to gain entrance for both Saturday contests. Guests who purchased 50/50 tickets will have their entries rolled into Saturday's drawing. Due to the postponement, guests holding a ticket to Friday's game will be able to exchange each ticket for a ticket of equal or lesser value to any game remaining on our 2018 regular season schedule. All ticket exchanges are subject to availability and must be made in-person at the Coca-Cola Park Ticket Office (no phone or online exchanges are permitted). Anyone with additional questions or requests can contact the ticket office at (610) 841-PIGS (7447). The 2018 Season is the IronPigs' 11th season at Coca-Cola Park and 11th as the top affiliate of the Philadelphia Phillies. Fans can get closer to the team than ever before with a Bacon, USA membership -- a year-round IronPigs experience pass featuring numerous amenities such as savings on parking at games and at the Majestic Clubhouse Store at Coca-Cola Park, on-field VIP access to watch batting practice, access to the annual holiday party, and more. For more information, visit ironpigsbaseball.com or call (610) 841-PIGS (7447). The 2018 IronPigs baseball season is presented by Capital BlueCross.